Outsourcing socks is a wise decision especially when it comes to large-quantity-orders, you will find various socks manufacturers in developing countries such as China, Vietnam, Combodia, etc, but communicating with such factories is never easy. You will probably find a lot of articles/videos about socks manufacturing process, but you hardly find an artile like this one telling you about tips/checklists about “how to get socks manufactured”. The factory sales representatives still don’t know what you are looking for. 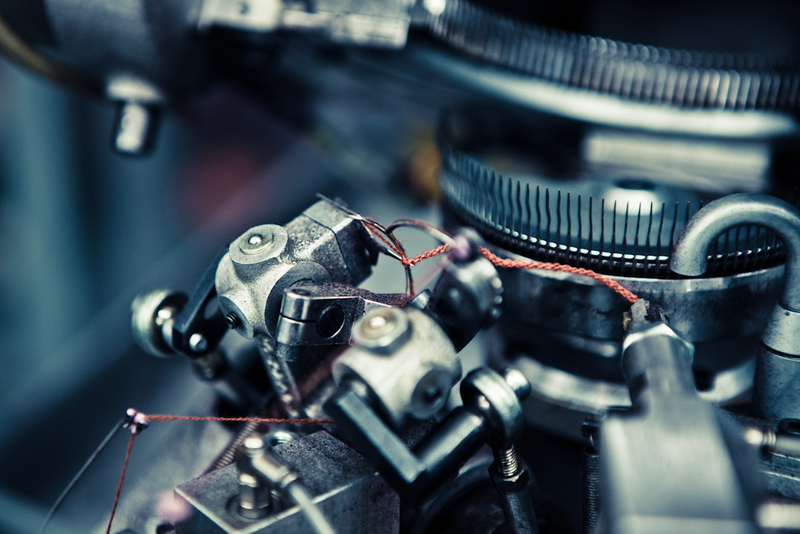 This post will only talk about the 1st part and the other 3 parts will be discussed in the future posts (You might find it now in our socks mfg blog page). 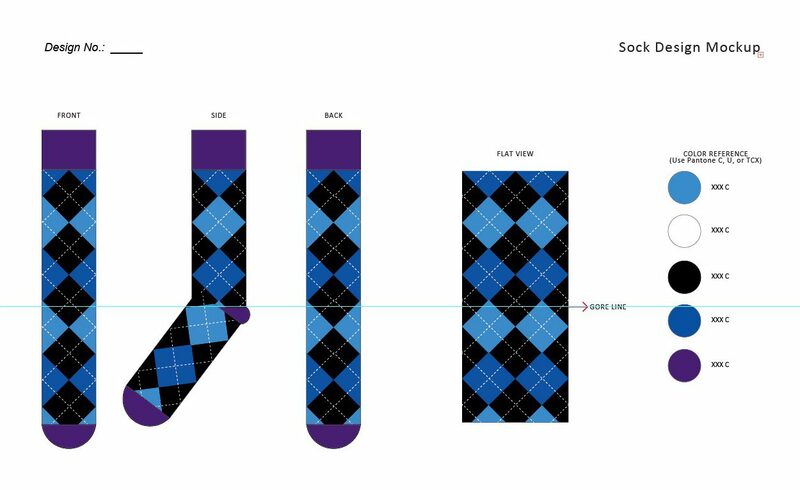 If you are a sart-up businss, you probably think sock design is difficult, but it’s not when it comes to socks manufacturing. 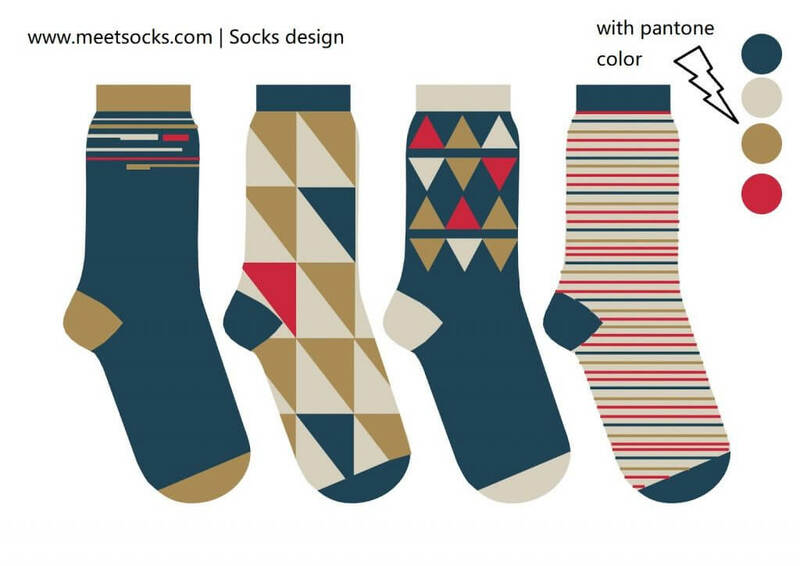 Most factories accept whatever formats of design(jpg, png, psd, ai… etc), There are 3 ways you can make a sock design. Below is an example of what a real design looks like, you can provide either *jpg, *.png, *.psd, *.ai… designs. On the tag is your brand information and socks information(price, code, name, composition, etc), Below is an example of sock tags. Every pair of socks will be attached with one tag for decoration/brand awareness. To help better estimate our cost thus your manufacturing fee, sock factories need to know your ordering quantity. You know, for any manufacturing industry, the more you order, the lower the unit manufacturing price will be. Just tell the sock factory how much pairs you want for each size/design. There are rarely 100% cotton socks since that will make your socks wrinkle a lot. However, for those who have diabetics or skin allergies, they can only accept 100% natural socks made of either cotton or hemp. Typical sports socks (to provide more tight support) usually are made of 100% nylon or 100% spandex. 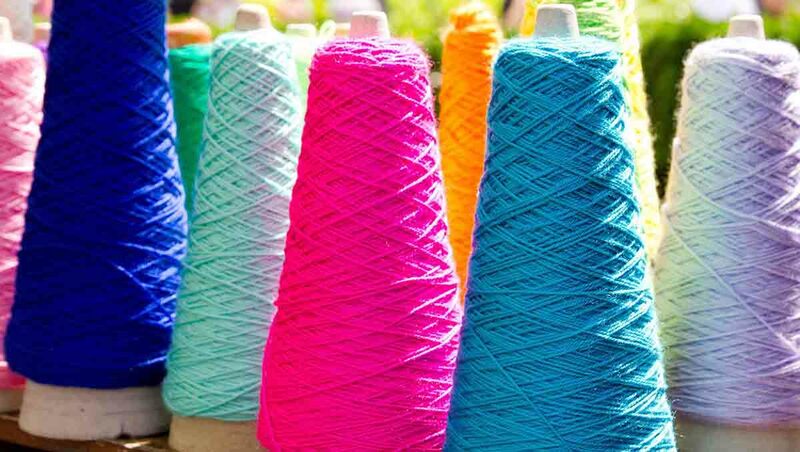 Don’t worry if you don’t know much about sock yarns, just tell the sock factory the functionalities of your socks and ask for their advice. If you are not sure whether the sock factory is tricking or not, you can also email me or leave a comment below, thus I will give you my suggestions. 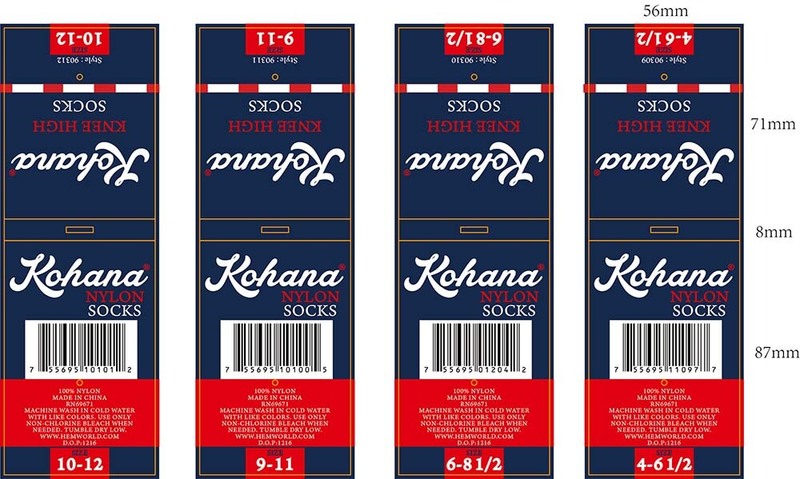 Okay, by now you have the essential information before reaching out to a socks manufacturer, and it should be easy and quick that you will receive a specific quotation regarding your socks. We will talk about the next 3 steps of socks outsourcing in the latter posts. Congratulations! Now you can start reaching out and wish you good luck! We hope we (MeetSocks the sock factory) will have the chance to support you in socks manufacturing. Thanks William, your article really helped me a lot for my outsourcing process, I am a local distributor here in California. I will start with approx. 300 dozens for each sock design and am planning 10 designs. I have a designer working on it and should email you in the next few weeks, cheers! Hi William! Jake here. Im planning to start a socks business in the Philippines. Can you give me a quotation about how much is per pair? Like minimum orders with our own branding. Cost and shipment. I will truly appreciate your help. Thanks in advance. Hi Jake, I will pass on your comments to William, he should write back to you tomorrow! Thank you very much for this article. It’s really helpful. I’m working on starting a socks business in Botswana. We barely have manufactures and my closest bet is South Africa. However, I know that I could probably get a variety from China, which I assume may be a little complicated. Thanks for your comment, we are offering one-stop service and we can take care of both production and shipping for you, it’s not that complicated but just takes longer time. Jenny should follow you up soon. I would like to get some information on manufacturing of specific designs for knee high socks. I am based in South Africa and would like to get a idea of process and quantity prices. Also information on what is needed for shipping to south africa. Thanks for your inquiry, The process is simple, you give us a sock deisgn and we can make real socks for you. We will ship the socks to your port and you will need to pick them up at the port. So we will need your information refarding your conuntry, receiving port, and of course the specification of your orders (like design, quantity, size, etc). Jenny should follow you up with other details in 12 hrs. Please fill in the contact form in https://www.meetsocks.com/contact. Hello, I would like to get an idea on proving and quantity orders. Just starting the process. Thanks! We will make samples according to your designs and send them to you for approval. I have a business idea for selling my socks. Can Jenny contact me too please ? Hi there I was wondering if you are able to do custom toe and heel design! Sorry, currently we don’t provide such custom service. Great work. you gave us the huge collections for all types of socks thanks for sharing with us. Meet Socks you have really such a great collections. Hi again I am Sangay from Bhutan. So that I will be successful in this thing. We are sorry we cannot tell you a specific figure. Price depends on brands and your location. You may refer to your local agents of your ideal brands. Good luck.